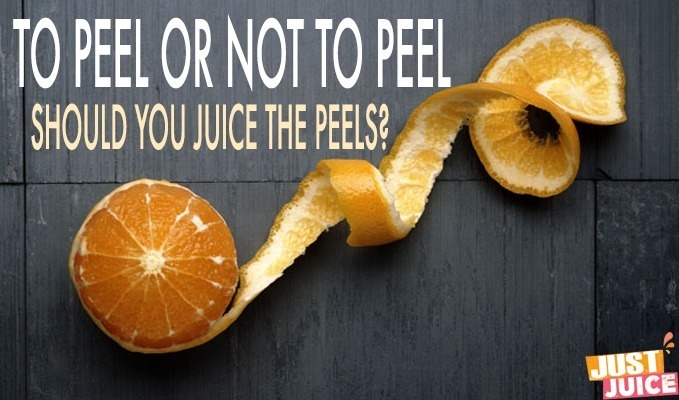 / Juicing Tips: To Peel or Not to Peel. Should You Juice the Peels? To peel or not to peel. That is the question. 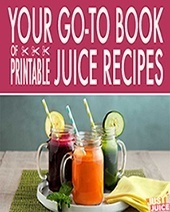 Actually, it is one of the first questions you run into as a beginner juicer and one of the most useful juicing tips you'll need to know. The answer is a little more nuanced than a simple, "PEEL" or "DON'T peel." Some fruits and vegetables should be peeled and some are better with the skins left on. Here are a few guidelines to follow when deciding whether to peel or not. This is one of the foremost considerations when deciding whether to peel or not. Even for fruits and vegetables that are generally better with the peels left on (see below), you should peel it if it's non-organic. Some fruits and vegetable peels - such as apples and cucumbers - contain ample nutritional benefits and are best left on. These also happen to be on the EWG's Dirty Dozen list of produce commonly contaminated with toxic insecticides. If you can't buy all organic, try to at least get the produce that's on the list. Apple peels contain much of the nutritional benefits of this fruit. 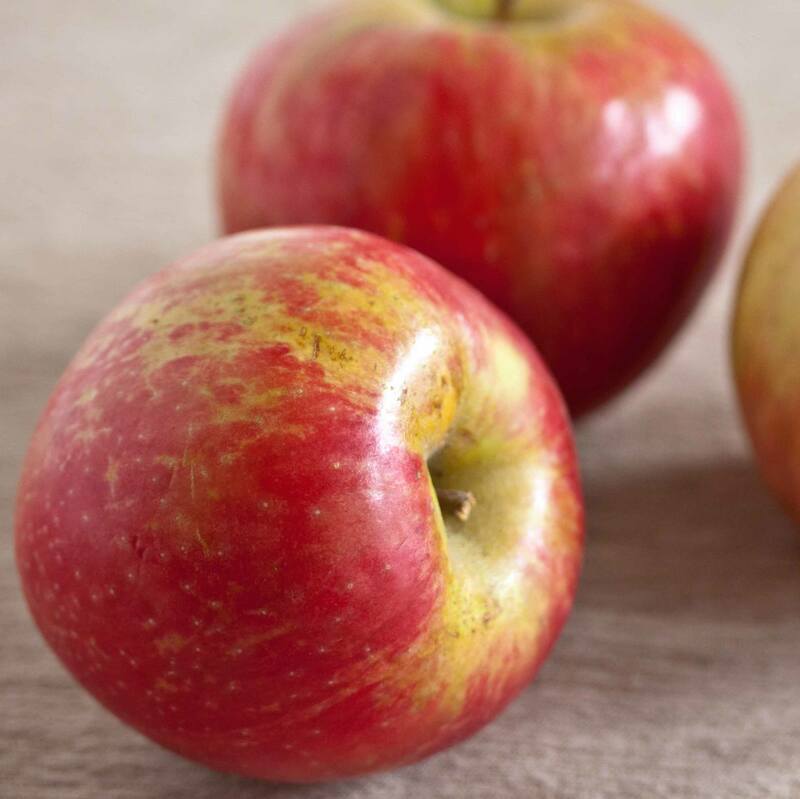 According to Cornell University's Chronicle Online, apple peels are especially rich in powerful phytochemicals like flavonoids and phenolic acids since it is at the peel where the fruit interacts directly with the sunlight. Another study from the University of Illinois says about two-thirds of an apple's fiber content exists in its peel. Apple peels also contain important minerals such as calcium, potassium, phosphorus, folate and iron as well as antioxidants (vitamins A and C). Another fairly recent study singles out apple skin for its potential to prevent loss of muscle tissues. The point is: apple skins are highly nutritious and this is one fruit you should plan to buy organic so you can get the full benefits! Although you can't juice bananas, you can add these nutritious peels to your smoothies. If that sounds a little gross, don't worry - it's actually quite yummy. Especially if you add a bit of pineapple, which masks any bitterness. Plus, the benefits of these peels are unexpectedly great. Banana peels are rich in serotonin, which is associated with mood; people with depression are known to have lower serotonin levels. Researchers from Chung Shan Medical University in Taiwan have found that banana peel extract can ease depression as well as benefit the eyes, since the peel is also rich in the antioxidant lutein, which ­protects eye cells from exposure to ultraviolet light. Beet peels are a matter of (taste) preference. I generally never peel these, especially since I only get them organic. But other people might not like the slight taste of "dirt" that tends to come with unpeeled beets. If that really bothers you, you can give them a rigorous scrub or just peel them all together. 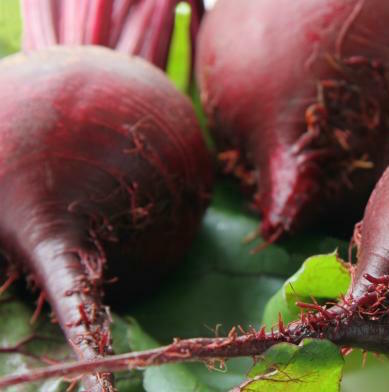 As for why you should juice them - get to know the many benefits of beet juice! 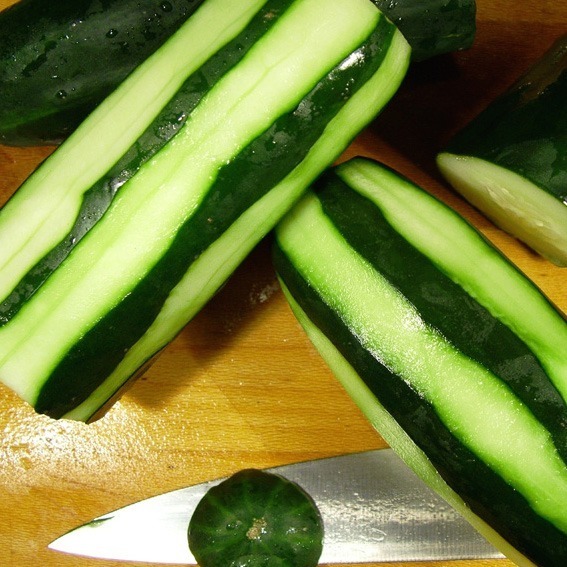 Cucumber peels are full of nutritious benefits. The skins are rich in fiber and contain a variety of beneficial minerals such as silica, potassium and magnesium - making it ideal of hydration as well as for maintaining healthy tissue. Silica is an essential component of healthy connective tissue in muscles, tendons, ligaments, cartilage, and bone. Cucumber juice - with the (organic) peels left on - is an excellent source of silica to improve skin health. 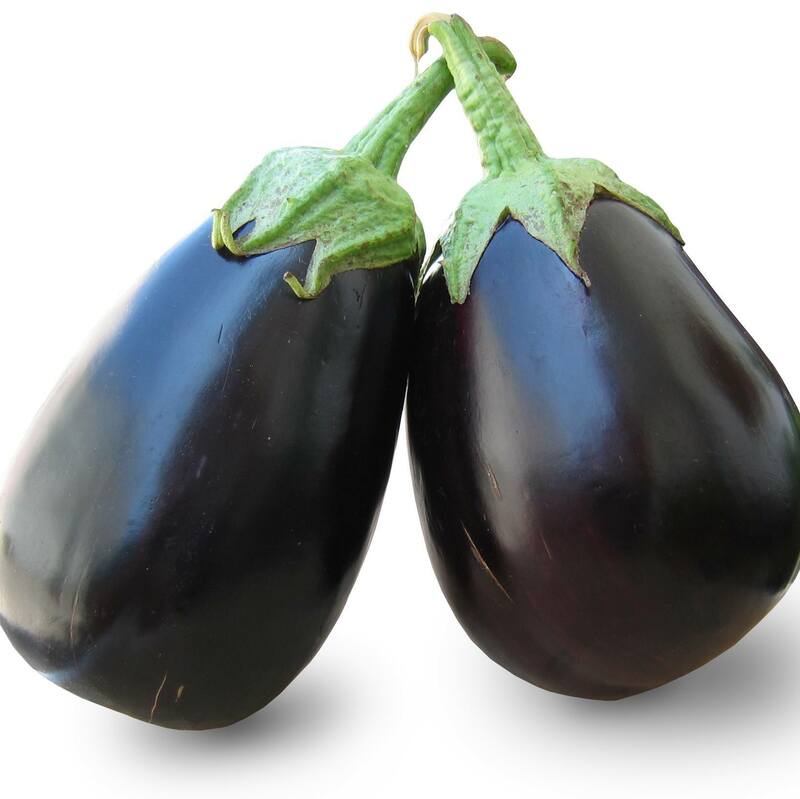 Some people are reluctant to juice eggplant because of rumors of its toxicity (which isn't actually true - click here for details), but if you are going to juice eggplant, make sure to leave the skins on. They are chock full of nasunin - an antioxidant that may prevent brain-cell damage - as well as an ample amount of potassium and magnesium. Make sure you juice the eggplant as soon as you buy it - the peels get more bitter with time. Red and purple grapes contain resveratrol - the anti aging miracle that's been making headlines all over the news and the main reason why red wine is touted as a nutritious drink. Resveratrol is an antioxidant that helps to protect your body against free radical damage that leads to the aging and disease. The studies that back up resveratrol as an anti aging marvel are based on studies in which mice that were fed resveratrol supplements had better motor coordination and lived longer than mice that didn't receive any resveratrol. According to these studies, resveratrol works by boosting enzyme activity in the mitochondria of muscle tissue. 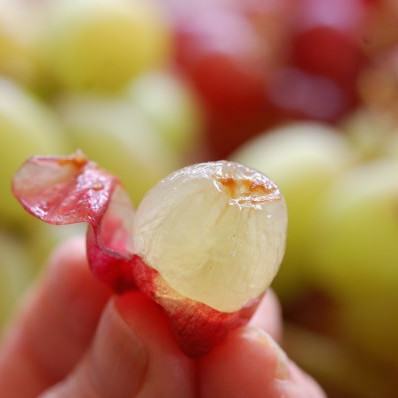 This is one of the biggest reasons to eat (organic) red grapes with the skins on - the concentration of reseveratrol is much higher in the skin of red grapes than it is in red wine. Most people scrape all their kiwi skins off, missing all the nutritional benefits of this furry brown wrapping. But this skin is high in antioxidants and thought to have anti-cancer, anti-inflammatory, and anti-allergenic properties. 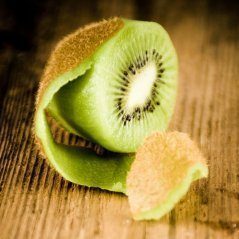 Did you know that the kiwi skin contains 3 times the antioxidants of the pulp? At the same time, there's no denying that it's rather...tart...so if you can't stand the taste, try gold kiwi fruit which are significantly less tart-y. You can just juice the whole thing! Citrus peels are high in powerful antioxidants called super-flavonoids which can contribute to reducing "bad" cholesterol levels. According to a U.S. study, the antioxidants from these peels were 20 times more powerful than those from the juice. Melons are great to juice whole - just leave everything the way it is, cut it up and juice. 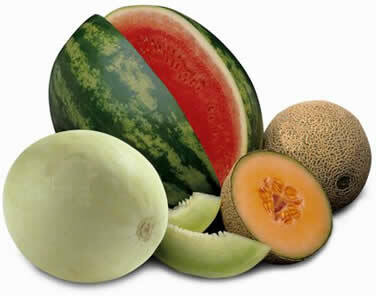 The rinds are where most of the nutrition is, plus the rinds help to dilute the sugariness of the melon. Elaine Bruce of the UK Living Foods Centre says watermelon rinds are the area of the melon where the minerals and enzymes are concentrated. The rinds also contain citrulline, which has antioxidant effects and converts into the amino acid arginine to help remove ammonia from the body. It doesn't taste at all bad, either! The cantaloupe is the only melon I highly recommend you peel the skin off of before juicing. 'Though it can technically be juiced with the peel, it really affects the taste. Plus, cantaloupe happens to be one of the most common carriers of foodborne illness out of all the fruits and veggies, partly due to the fact that its unique, very porous skin makes it a suitable home for bacteria, mold, pesticides, and chemicals. 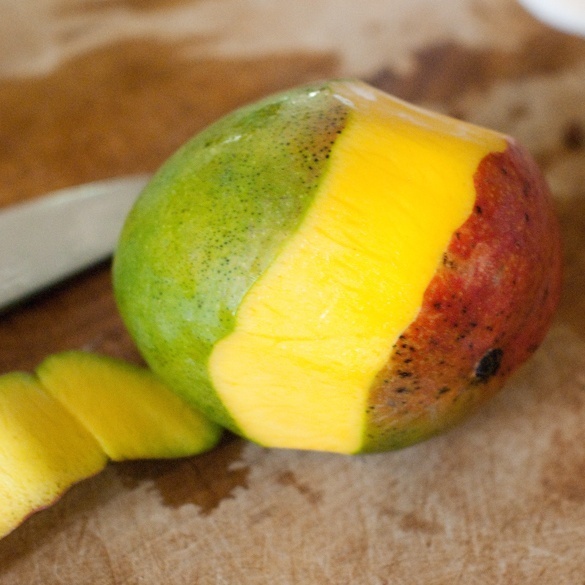 Other fruits and veggies that are fine with their (organically grown) peels left on are: carrots, mangoes (especially the smaller yellow-ish ones), peaches, nectarines, ginger. 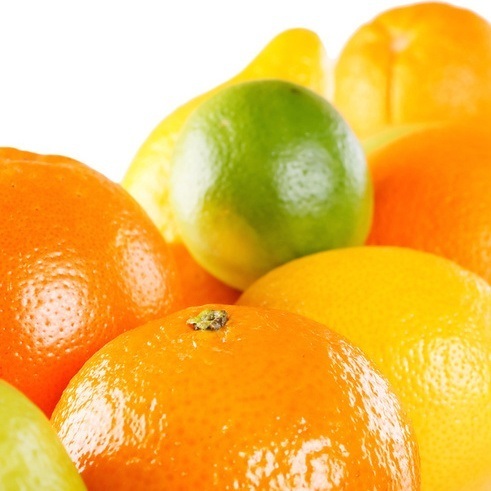 The peels of oranges and grapefruits contain some oils that can cause pretty bad indigestion. 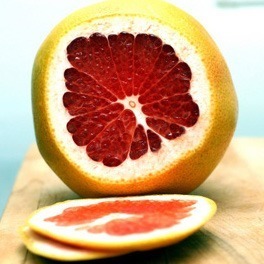 Always peel the peels off oranges and grapefruit before juicing! Mango skins are edible and I personally prefer to leave them on when I juice. However, they can cause an allergic reaction in some people. The skin of mangoes is filled with vitamins and nutrients, but it also contains a chemical called urushiol - which is found in poison ivy and responsible for the itchy rashes. Not everyone will have an allergic reaction - I don't - but if you're not sure, it's best to avoid eating the skins. 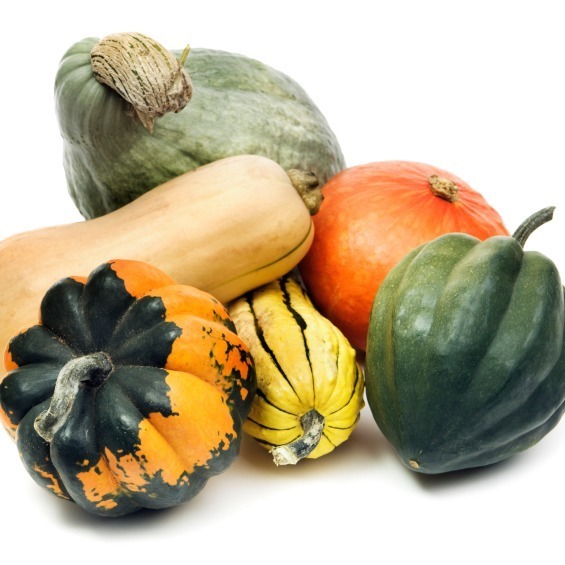 Squashes - like pumpkin, butternut, etc. 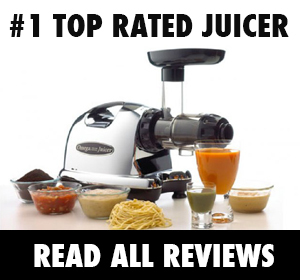 - have peels that are much, much too hard for your juicer. Make sure to peel these off, but peel as little as possible (so you leave the part that is closest to the peel that is the darkest color of the flesh since this is where the most nutrients are). Awesome – I love the feeling of getting every last bit out of my produce, too! Plus, peels are often where a whole lot of the nutrients are at! Shouldn’t this read: Always PEEL oranges and grapefruit, and NOT juice them?? Thanks for catching this 🙂 Edited, thanks. this is not a comment but a question, how long can you store fresh juiced vegetables and fruit? do you still juice them if they are black or turning dark? 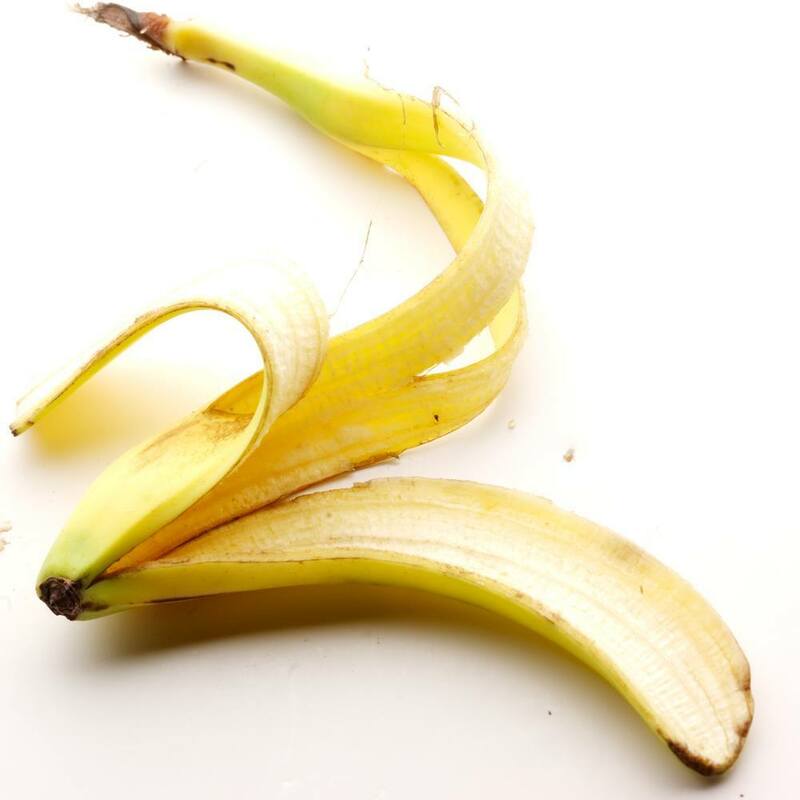 banana skins tend to turn dark fairly quickly after eating the fruit even kept in the fridge. they look pretty unappetizing, do you juice them? I rarely if ever buy organic food. Here in Japan it’s expensive and hard to find. So should I really peel everything??!! what a waste! Isn’t washing in vinegar/hydrogen peroxide solution enough? Hi George, thanks for stopping by and asking a helpful question, since I’m sure a lot of people have this very same concern. So, I know organic food can be both expensive and hard to find (sometimes they also come in smaller quantities that make them doubly expensive, especially for juicing). And washing with vinegar/soap/hydrogen peroxide does go a long way for non-organic produce. According to WH Foods, washing with soap or detergent eliminates at least 30% of pesticide and fungicide residues (but doesn’t really help with that gross wax cover found on produce like apples and pears). Washing with vinegar helps get rid of a lot of that waxy stuff (especially if you soak the produce first and then scrub) and according to Cook’s Illustrated, a vinegar rinse can remove around 98% of the bacteria from the surface fruits and veggies. So in essence, that takes care of most of the bacteria, most of the waxy residue, and some of the pesticides – which is fine if you’re having an apple or two a day. The thing that concerns me, ‘though, is that when you’re juicing…you are consuming a lot more fruits and veggies (as well as the pesticide content that’s on them). It does seem like a gigantic waste to get rid of flavonoid-rich apple peels and mineral-rich cucumber peels, but it beats putting a load of pesticides in your system. The good news is that you don’t have to get organic everything – just make sure you’re getting the organic options (or thoroughly washing and peeling) for the most pesticide-d foods (here’s the new list). Oh, and a last suggestion. I lived in South Korea for awhile and whereas organic produce was PRICE-Y and hard to come by, they did have farms that were willing to deliver what they grew – I got wonderful free range eggs and fresh, organic seasonal produce this way. If you’re not sure where to find the “hook up” for these farms, I’d suggest asking around – try the upper-middle-class housewives. They always seem to know where to source the healthiest foods to feed their family. Does anyone know if the fruit and veggie washes will redeem the skins from their toxins? Unfortunately – not completely, Ed. But it does help. We peel our oranges with an Apple peeler, keeps most the pith intact that way and makes for creamy orange juice. We also juice pineapples skin and all – but only organic ones that we have scrubbed very well (dirt under the pointy bits). In some pictures of juicing that I have seen it shows them putting a whole Apple in the juicer. Is this the way I should do it or should I cut out the stem & seeds? Oh, and keep in mind that apples are one of the most pesticide-laden fruits so please peel ’em if they’re non-organic! I have a quick question on juicing citrus. I just got the Breville Fountain Compact and tried to juice half a lemon with peel, but the white part of the lime came out in the garbage as a whole piece. I’m not too familiar with juicer but thought it would pretty much shred the white part + peel, which didn’t happen. Could you please let me know how it works for you? Hi Joana, the Breville centrifugal juicers are easy, convenient and make great starter juicers – but they’re not known to be thorough. ‘Cause centrifugal juicers basically chop up the produce and then spin the produce at a very high speed to extract the juice, it can miss chunks and produce more waste than you’d like. Every type of juicer has its pros and cons and for centrifugal juicers – their affordability and convenience is offset by shortcomings like this. That’s why we strongly recommend slow juicers like masticating or triturating juicers for those who’re planning on juicing often – these grind and “chew” the produce to extract the juice, which means pretty much you put through them get crushed to a fine pulp. For now, why don’t you continue to see what works best with your Breville, like harder produce and peeled citrus peels and if you end up juicing often (and can spare a few more minutes for clean-up :)), retire it for a slow juicer? This is not a comment but I am asking a question. I just started drinking lemon juice for health. Suggestions were to extract the juice and some suggested eat the peel later. However, can I extract the juice using juice extractor where I cut and put the whole of lemon together with the skin. Regardless of the taste will it be better or otherwise. 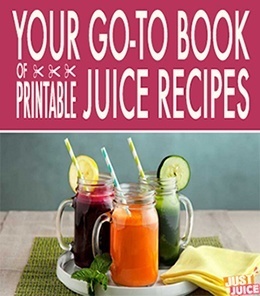 I love your article as it covers all the aspects that are important to someone who is just starting with juicing. Currently, a lot of people are jumping onto the “juicing train” as it is trending and it is good to see your expert posts. Loving all the information you provide. I have just got a Bella juicer and have not used it yet so your information has been very helpful, thanks. I just bought a Nutri-Bullet 900 watts, and I want to know if I “juicing” includes Nutri-Bullet. I used to work with chemicals. Last year I bought some bananas, kept smelling oil-paints, . . . YES, THEY SOMETIMES PAINT BANANAS WITH A BANANA-SCENTED YELLOW PAINT ! ! i think it depends on what fruit or vegetables you want to juice . but thank you for giving me an ideas on what to do. good day!! i think it depends on what fruit or vegetables you want to juice . but thank you for giving me an ideas on what to do it helps a lot. good day!! I really think it depends on what fruit or vegetable you are peeling. I never expected you could juice a banana peel. That was really interesting I am tempted to try juicing one.